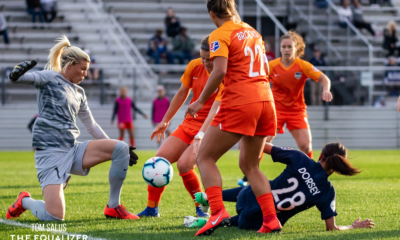 HARRISON, N.J. — The United States’s France hoodoo continued for a second straight SheBelieves Cup when Mallory Pugh’s goal was cancelled out by Eugenie Le Sommer’s equalizer three minutes later and the sides played to a 1-1 draw. Here are some thoughts on the match. Murmurs rolled through Red Bull Arena when Casey Short emerged by the fourth official with less than five minutes until the halftime break. Short wound up entering the match for Taylor Smith who trotted off the pitch to what was at best a neutral reception from Jill Ellis before taking her seat on the bench. Coaches make tactical changes like that all the time, but this was not consistent with how Ellis has coached the team in the past. 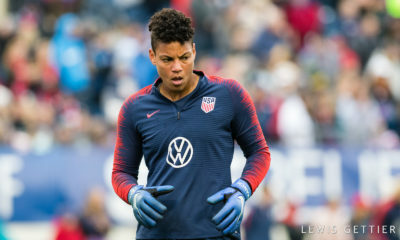 If anything, Ellis has a reputation for riding it out for too long when things are not going according to plan, particularly in a tournament like SheBelieves Cup where she is allotted six sub cards. For her to have said as much publicly is an extraordinary statement from a coach who likes to hold her cards close to the vest. Short was seen exiting the locker room with work on her right ankle, but the crutches she had with her were being carried and not aiding her walking. 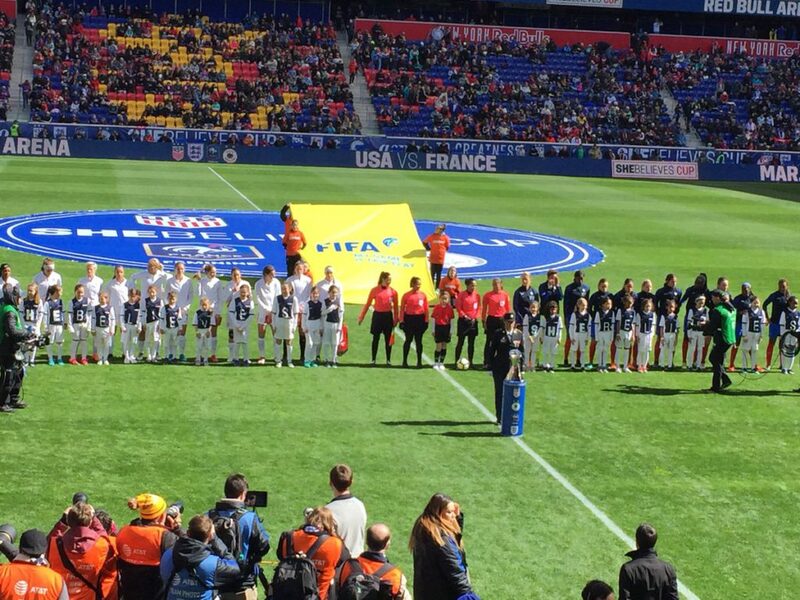 A year ago to the day, in the same stadium, the USWNT lost 1-0 late to England. It was the precursor to a 3-0 shellacking to France (during which there were no first half substitutions made). All along Ellis and the players spoke of the process and how they were still building into their new system. 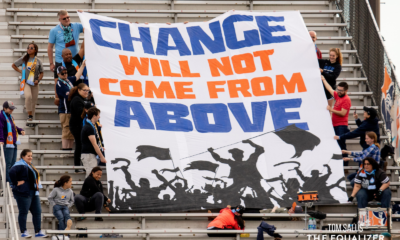 Of course that system was never used again after SheBelieves, but the point stands when contrasting that mentality after consecutive losses to this year’s when a draw clearly was not good enough for the U.S.
Megan Rapinoe, who played the first half, added to the chorus. “For where we are and where we want to be going, and the progression we should be making, it’s not good enough,” she said. France has long been the women’s national team most difficult to figure. A year ago they won SheBelieves for new coach Olivier Echouafni. It looked like the French may have broken through what had been a very low ceiling. And then they went to the European Championship and looked horrible en route to a quarterfinal exit to England. That cost Echouafni his job. Enter Corinne Diacre. But Diacre’s first major test with France on Thursday in Columbus could not have gone worse. England chewed them up and spit them out in a 4-1 hammering that could have been a whole lot worse. On Sunday, France bounced back. Diacre made six changes to the lineup. Aïssatou Tounkara added necessary speed on the back line, and veterans Amel Majri, Gaëtane Thiney, and even Sarah Bouhaddi helped keep things calm. The French challenged the USWNT all over the pitch, held up reasonably well under high pressure, and even more importantly, regrouped after going down a goal to find an equalizer only three minutes later. France have no World Cup qualifiers to play this cycle – they’re in as hosts. That’s a double-edged sword. Diacre can make definitive plans to prepare for the World Cup, but at the same time she will need to figure out how to get her side mentally prepared for the uniquely intense experience of playing a World Cup on home soil. France will close SheBelieves on Wednesday against Germany. We’ll see how Diacre runs out her team and what sort of performance they have in store.